Veracity, a leading provider of innovative, intelligent solutions that solve real-world IP video challenges in transmission, storage and display, returns to Intersec in Dubai with a larger company presence across three partner booths. Since establishing its new office in Jumeirah Lakes Towers Veracity has developed stronger relationships with its customers, partners and its supply chain across the region, fuelling rapid growth. The office has responsibility for the Middle East, southern Africa and Sri Lanka. The team will be demonstrating the company’s portfolio of Transmission and Storage products during Intersec, which runs from 21st to 23rd of January at the Dubai World Trade Centre. You can learn more about Veracity products at the company stand (SA-C34), and also on Mayflex (S1-D37), Anixter (SA-E33) and CP PLUS (SA-A28). Veracity products on show include COLDSTORE™, a video surveillance storage solution for projects requiring longer term retention. Its sequential storage system delivers much higher disk reliability and a 90% power saving over equivalent RAID-based systems. With extended product life time and a much lower total cost of ownership, COLDSTORE provides all the storage security, system redundancy, performance and regional approvals required by this demanding market. 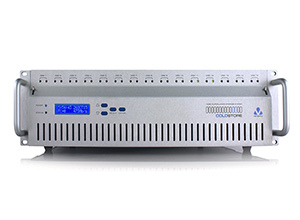 Offered as a 3U, 150TB unit that uses only 0.4W per Terabyte, COLDSTORE also forms part of the TRINITY™ architecture. This eliminates the need for Network Video Recorder (NVR) servers by allowing IP cameras to record directly to COLDSTORE. TRINITY is currently supported by open platform cameras from Axis Communications and Hanwha Techwin. Make sure you also see VIEWSCAPE™, the comprehensive command and control system on Veracity’s stand at SA-C34. New to the Middle East market, VIEWSCAPE features an advanced, modular integration platform that gives operators flexible and immediate control over complex surveillance and security functions. VIEWSCAPE includes visual information received from IP and deployable CCTV cameras combined with interactive maps and incident management. Its flexibility adapts to new requirements whilst minimising the challenges of integration with legacy systems. “The increased number of projects which Veracity has been invited to tender on in the past 12 months is proof of how important it was to establish our base here in Dubai” said David Corson, Group Commercial Director of Veracity. “Our solutions and product reliability for common industry challenges are an important differentiator for both the customer and specifier. A good example of this is the interest and demand for COLDSTORE, our long-term storage solution, in the region”. To secure your meeting time with the Veracity team on SA-C34 book an appointment using email sales@veracityemea.com and we’ll arrange it for you. 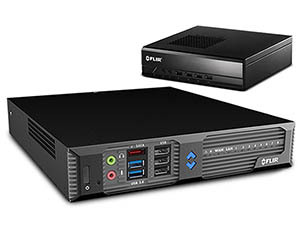 Latest FLIR all-in-one Network Video Recorder offers advanced embedded enterprise video management features for small and medium business users. CCTVdirect are fundraising for children with terminal illnesses in Yorkshire. As a Yorkshire based business CCTVdirect always strive to give back to their local community and are delighted to announce that they have chosen Martin House Children’s Hospice as their corporate charity. https://1stsecuritynews.com/wp-content/uploads/2018/02/Logo1stSec.jpg 0 0 1st 4 Media https://1stsecuritynews.com/wp-content/uploads/2018/02/Logo1stSec.jpg 1st 4 Media2015-09-18 06:12:212015-09-18 06:43:21CCTVdirect are fundraising for children with terminal illnesses in Yorkshire. July 1st 2013, Mayflex, the distributor of Converged IP Solutions including cabling infrastructure, networking and electronic security solutions, has announced that it will be distributing the Razberi range of Server Switches.